OUUS and friends met in the University Club to watch and cheer for the best team in the world! It was an amazing and a very emotional game. OUUS members had a pleasant journey to the Rectory Farm in a lovely village of Stanton St John. This farm is known for it allows visitors to collect strawberries (and many-many other -berries!) themselves. It was an unforgetable and very sweet experience. OUUS members and their friends gathered in the University Club to support the best team in the world! We even got some British on our side. We watched the first game of the Ukrainian team at the Euro-2012. What a fantastic game! And what the goals we saw! Nadia Diuk serves as Vice President of Programs for Europe, Eurasia, Africa, and Latin America and the Caribbean at the National Endowment for Democracy (NED), a private nonprofit organisation funded by the U.S. Congress to strengthen democratic institutions around the world through nongovernmental efforts. For over twenty years prior to her appointment as Vice President, she supervised NED programs in what was then known as Eastern Europe and the Soviet Union—a complex region where most democrats could work only underground. She developed programs and strategies for this region through the period of the first free elections of 1989-92, up to the present time of the transitions to independence in the new states of Eurasia as well as assisting those democrats who continue to work in authoritarian countries in that region. Professor Bohdan Hawrylyshyn presents key ideas of his book "Towards More Effective Societies" . Chaired by Baroness Shirley Williams. Commented by Dr Gwendolyn Sasse and Dr Olga Onuch, Nuffield College. Special guest − HE Volodymyr Khandogiy, Ambassador of Ukraine to the UK . The end of term/spring/Women's day party will be held in Alex's house. Expect lots of tasty food "made by beautiful Ukrainian woman". And feel free to bring your own favourite. An excellent event for those who want to taste delicious Ukrainian food, buy some special souvenirs, and enjoy a violin performance. Prof. Olexiy Haran (Kyiv Mohyla Academy): Orange Revolution and Counterrevolution: Whither Ukraine? "Everything is Illuminated" is referred as one of the "rare films that encapsulate the emotion of discovery and drama with humor." Starring Elijah Wood! Traditional society dinner is a chance to chat, discuss recent events, and relax with old and new friends. £4, OUUS members only. A private party to celebrate the holiday of Malanka. OUUS members only. 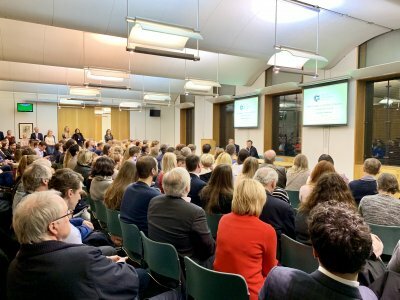 Lecture: Ukraine and Perestroika — Who Killed the USSR? Advanced research seminar series supported by the management committee of Russian and East European studies & the History faculty. 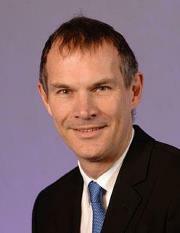 Leigh Turner is the British Ambassador to Ukraine, resident in Kiev, since June 2008. He will give a talk at Oxford upon invitation from the Oxford International Relations Society. 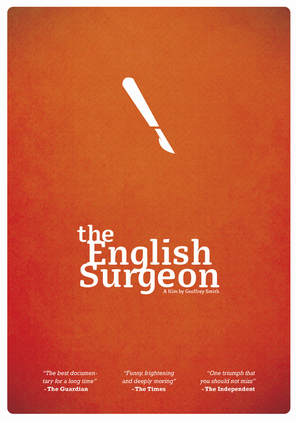 Documentary screening of the movie 'The English Surgeon', followed by Q&A session with Dr Henry Marsh CBE. All welcome. Free entry.